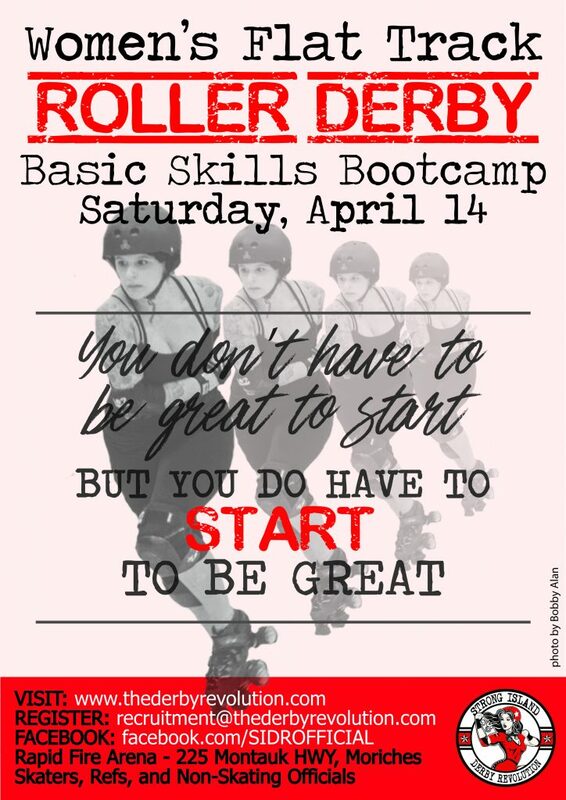 On Saturday, April 14th, SIDR invites you to participate in a FREE BOOTCAMP where you will learn basic derby skills, meet the other members, and learn more about roller derby. Skating experience is a plus, but we are willing to train the right people. All Bootcamp participants MUST be at least 21 years old. We will have a limited supply of loaner gear available. All requests for loaner gear must be received at least SEVEN days prior to Bootcamp. We will do our best to accommodate all requests but we cannot guarantee we will have your exact size. If you want to see us in action prior to the recruitment event, join us at The Sports Arena for our first bout of the season! We will have a representative from our Recruitment team eager to answer any questions you might have about playing and training for Roller Derby! Meet the Skaters and see what it really takes to be part of the Revolution.